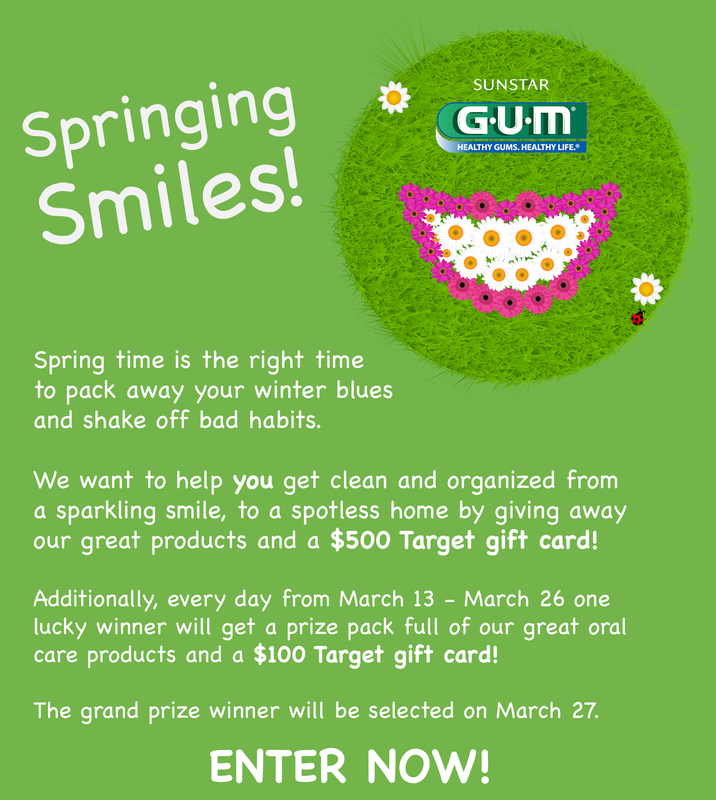 Sunstar GUM’s “Springing Smiles” Facebook Sweepstakes started Thursday, March 13 and runs through Wednesday, March 26. Each day they are giving away GUM oral care products and a $100 Target gift card (one prize per day for 14 days). One grand prize winner will receive a $500 Target gift card. In addition, if a contestant gets 5 or more friends to sign up, they'll send the contestant a 15 pack of GUM Soft Picks! What are you waiting for?! Head over and enter now! OHHH I so need that!